Using a Desktop? Please click here for a better user experience. While new pets are available for adoption daily, photos are only taken Monday through Friday. Pets added to the site over the weekend should have photos available by Monday evening. 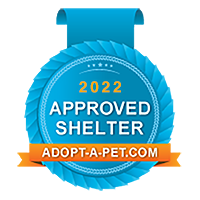 If you find a pet that you are interested in adopting, you may download our GBHS Adoption Application (PDF format) and bring it in with you to expedite the adoption process. Thank you for opting to adopt! Questions about one of our pets? Contact our facility by phone at 205-942-1211. To visit our adoptable pets, please visit one of our locations near you. Effective May 1, 2017, there will be a mandatory microchipping fee of $10, in addition to adoption fees. ALL cats, kittens, puppies and dogs will be microchipped before leaving the shelter, and we will cover the cost of the first year of Home Again services. * All active and retired military members and their immediate family members who live in the same household receive waived adoption fees with a valid ID presented at the time of adoption. All adoption applications must be submitted 1 hour before closing to be considered for adoption the same day. Here you can find some adoption resources. Please click on the buttons below to learn more about our adoption process.